Junkware is like the soot that clogs up the plumbing in your sink. Eventually the accretion of lime deposits, tangled hair and rust makes it impossible to use the sink. Similarly, as you install various applications, it’s easy to unwittingly installed something you didn’t want. It’s freggin’ annoying and sneaky. 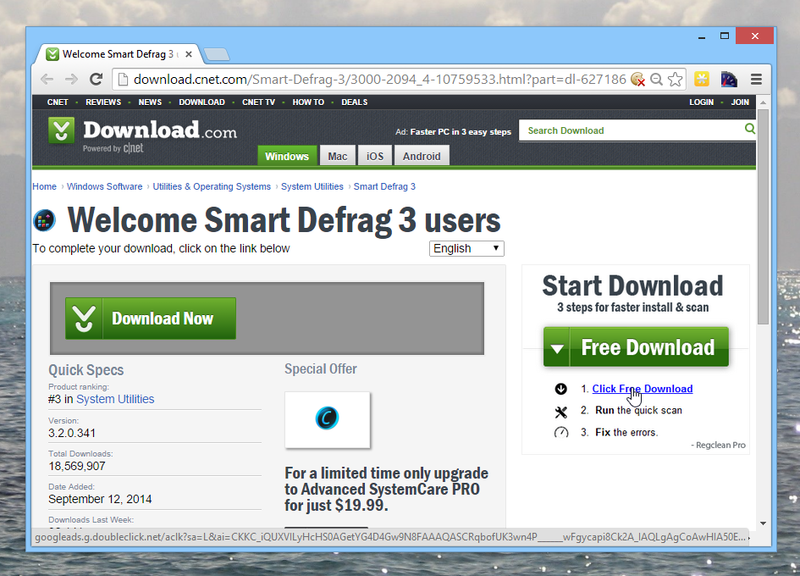 I hate junkware and I hate the imbeciles who set installers to opt-in offers by default. The sleight-of-hand is vexing. Junkware is intrusive, disrespectful and just flat out wrong. I’m an ardent advocate of a junkware free system; that’s why today – I’m going to turn you into a digital bottle of Drano. After reading this article you’ll have the smarts to keep your PC free from junkware. And who knows, maybe you’ll become a fervid evangelist for clean computers and you’ll share what you find here with your friends. It’s time to get junkware aware. Let’s go! I use the term junkware to define a particular category of malware which furtively attempts to install itself with legitimate applications. It’s like the criminal who slips into the bank because the security guard didn’t close the door behind him. Junkware usually begins its unsavory life as an enabled offer during the installation of some valid program. In other words, the crafty advertisers responsible for the junkware hope that you’ll breeze through the installation wizard, accepting offers to the finish line. Most people don’t get excited about reading licensing agreements or offer documents so when we install software we usually just accept the defaults so we can start using the application. Here is an example of an installation wizard without the chicanery. When I installed the Miro Video Converter, I was presented with a license agreement regarding privacy terms with Miro Video Converter. This is obviously normal and safe to accept. But look at the next one here. Admittedly the screen is clearly labeled Special Offer but the Agree button is where the Next button usually sites so it’s important to be cognizant of each screen in the installation process. 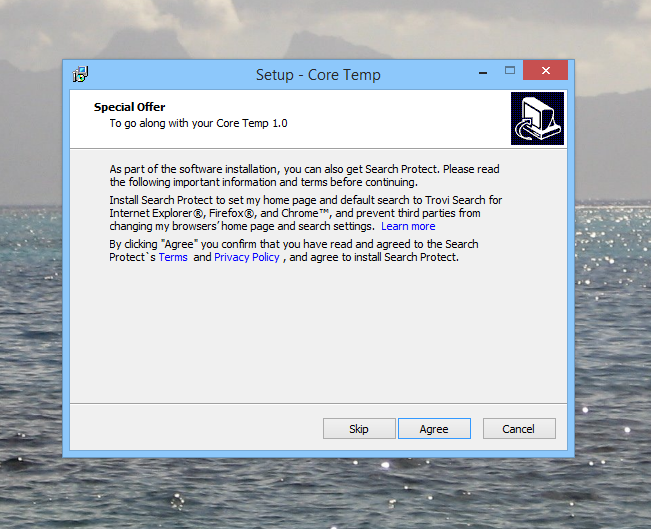 Incidentally, the special offer bundled with Core Temp is called Search Protect. 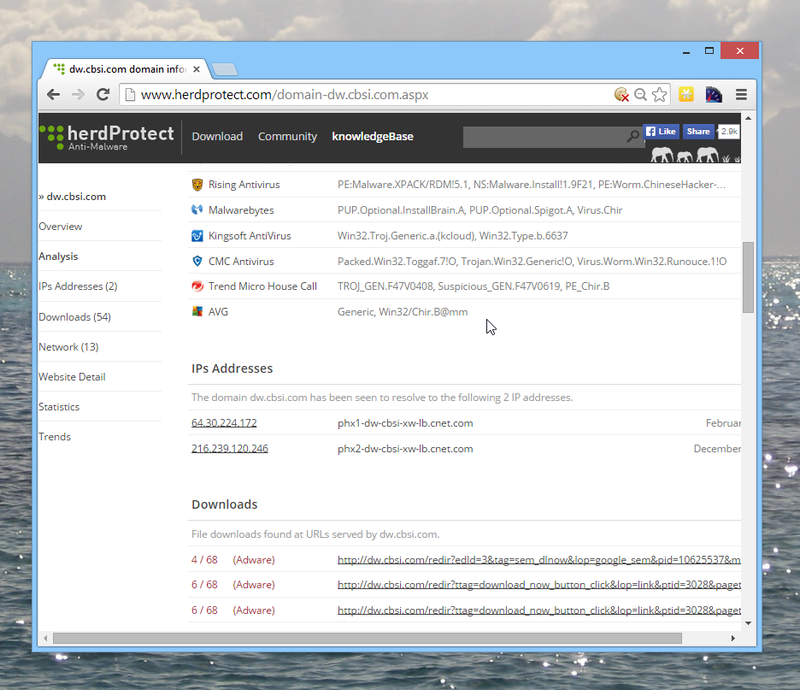 Search Protect is a notorious program by Conduit LTD known identified by anti-malware programs as a Potentially Unwanted Program (PUP). If you nonchalantly clicked Accept, your homepage would magically change to search.conduit.com on all your browsers and you would see an interminable deluge of pop-ups that would have your head spinning faster than a fan. So paying attention at each installation screen is critical. My real antipathy against potential unwanted programs began with Adobe Flash Player. 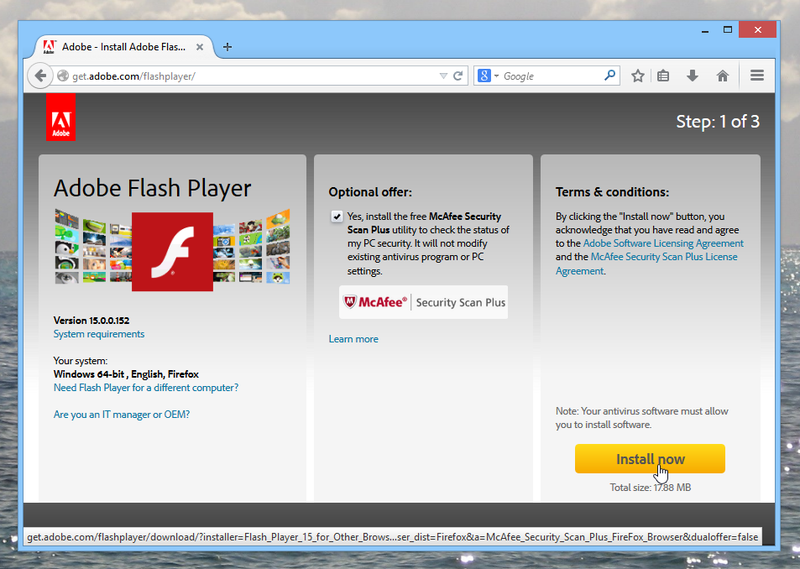 I can’t tell you how many times I accidentally clicked the large yellow Install Now button without unchecking Yes, install the free McAfee Security Scan Plus utility. The problem is that most people already have antivirus software installed so when you pile on multiple AV vendors weird stuff can happen. Each AV program wants exclusive protection rights for your computer and often don’t play nice together. So the only way to appease your antivirus software is to purge all the others. There’s a honorable, morally upright, program in the hood called Unchecky. Instead of having to find all the checkboxes with unwanted offers, just install Unchecky and let it automatically uncheck those offers and warn you about superfluous offers. And discreetly updates itself in the background. 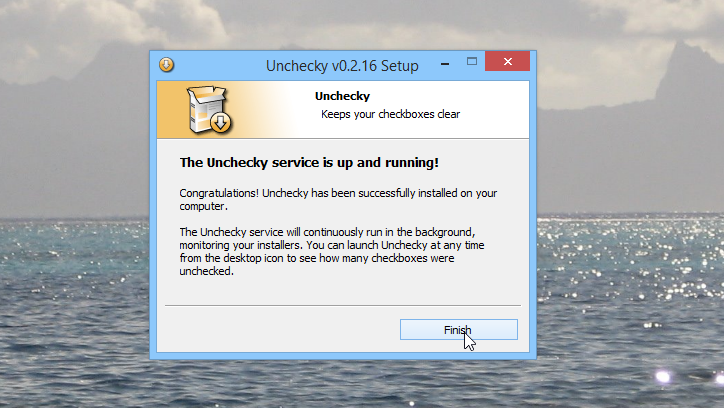 To get started, download Unchecky from its eponymous website and click through the installer. By the way, you’ll be happy to know that there are no unwanted offers in the Unchecky program itself – which is nice to know! After installing Unchecky, just leave it running and forget about it. 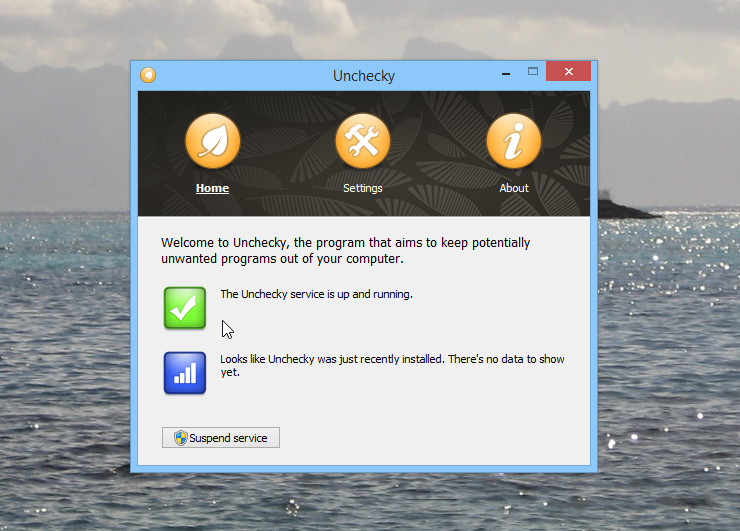 Unchecky monitors your installers and only intervenes when necessary. The duplicity just doesn’t stop. I’m noticing a preponderance of websites with fake download links sprinkled across the site. The webmaster (or marketing teams) hope to dupe visitors into clicking an ad so they can bump click-through-rates and subsequently augment ad revenue. Many could argue that this is the acme of web annoyances because the advertisers not only a waste your time but also make money off your valuable time. Whenever you visit one of those free software sites with lots of download links – be leary. On the download.cnet.com homepage there are two links that look innocent but clicking one could produce adverse results. The left side of the screen shows a big green Download Now button and the right side has a similar button that says Free Download. Which link is real? Are both real? The quickest way to figure that out is to simply mouse over the link and pay attention to the URL in the bottom portion of the browser. 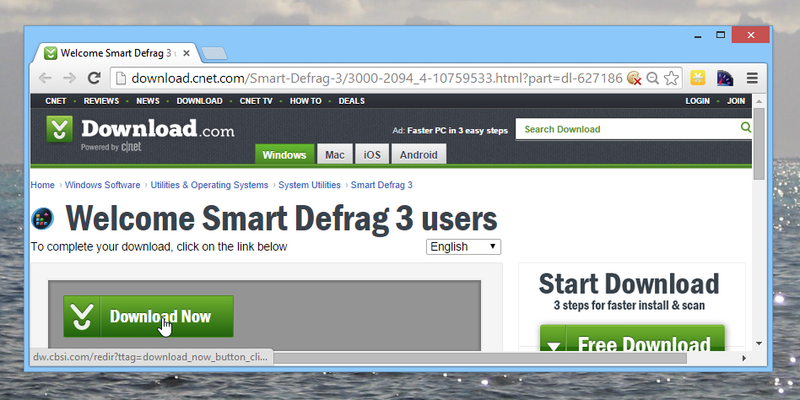 In my example, you can see the Free Download button points to googleads.g.doubleclick.net so we know it’s fake. But if you moused-over the other button, the Download Now button, it wouldn’t be so obvious. That link points to dw.cbsi.com. Interestingly enough this is valid link; however, if you dump the domain name in Google you’ll find interesting results. dw.cbsi.com is owned by CBS Interactive Inc; however, the domain name is notorious for hosting malware, PUPs, junkware and all kinds of bad stuff. That’s because when you download stuff from download.com you usually get a special Download Manager which comes replete with junkware that will antagonize your system. So I guess what I’m saying is don’t download anything from download.com. I know it sounds counter-intuitive, but it’s simply too easy to get junkware with your software from there. What happens if I accidentally installed junkware? So this is the thing: even though I’m cognizant of all these tricks I still have a propensity toward laziness. And when that happens I end up installing something bad. If this happens to you grab AdwCleaner. This little program will sweep your services, folders, files, shortcuts, tasks, registry and browsers for almost every species of junkware you can think of. It’s fast, free and pretty easy to use. You launch a scan, when it finishes click through the tabs to see if it found anything. Then place a checkbox near the items to clean and click Clean. The best way to beat junkware is to be aware. Simply being aware of unsavory offers and specious links will go a long way. 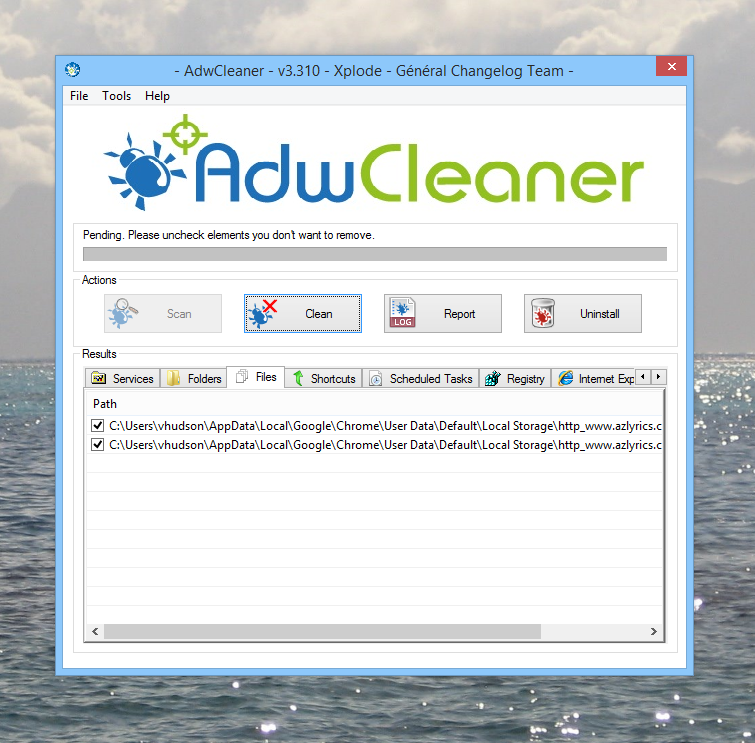 But even if you do accidentally install something you didn’t want you can always use AdwCleaner and Unchecky to set things straight! So what do you think about this stuff? Have you ever installed something that completely paralyzed your computer? Share your story in the comments below! Thanks, Vonnie. You clearly communicated, what I have tough time getting accross to the users that I support. I didn’t know about unchecky. Thanks again!